Kuala Lumpur, August 2018 - The ‘Kaleidoscope’ series is a biennial festival organized by HANDS Percussion. 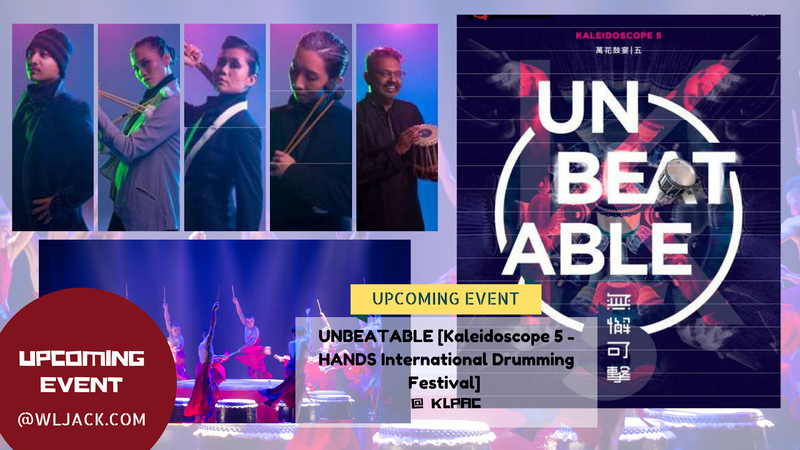 Since 2009, percussionists and musicians from Taiwan, Japan, Spain, Norway, Netherlands, USA, Indonesia, Vietnam as well as home grown groups, have been invited to be part of the festival. The festival does not merely encourage and facilitate cultural exchange but it also introduces different kinds of music to our audiences. 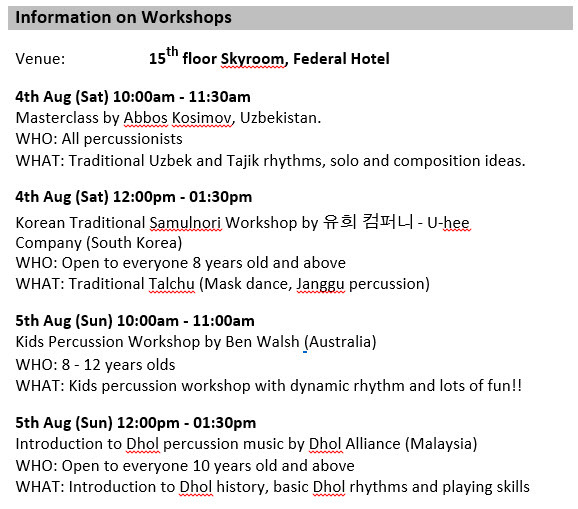 Besides concerts, there will be workshops and master classes. Performances at selected schools have also been planned. 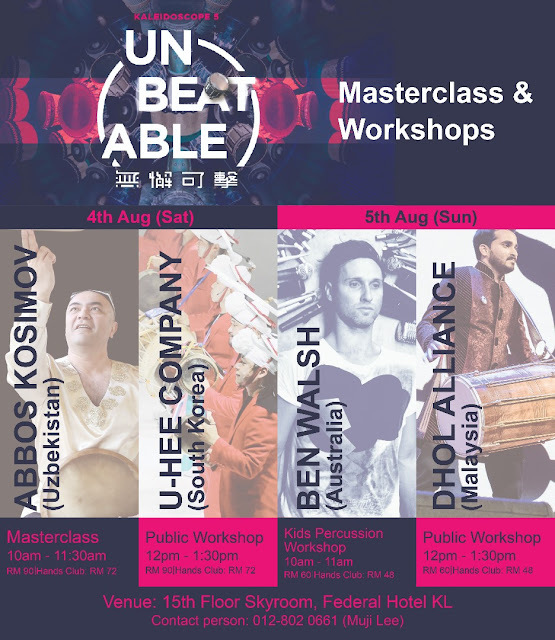 This year, we have invited Abbos Kosimov (Uzbekistan), Ben Walsh (Australia) and U-Hee Company (South Korea) to participate. Locals, Tan Su Yin, Mat Din, Prakash Kandasamy and Dhol Alliance, will join us, as well as Syrian, Majd Hass. Composer Yuan Leow Yunn, choreographers Kathyn Tan and Arifwaran SHAHARUDDIN are also on board to help. 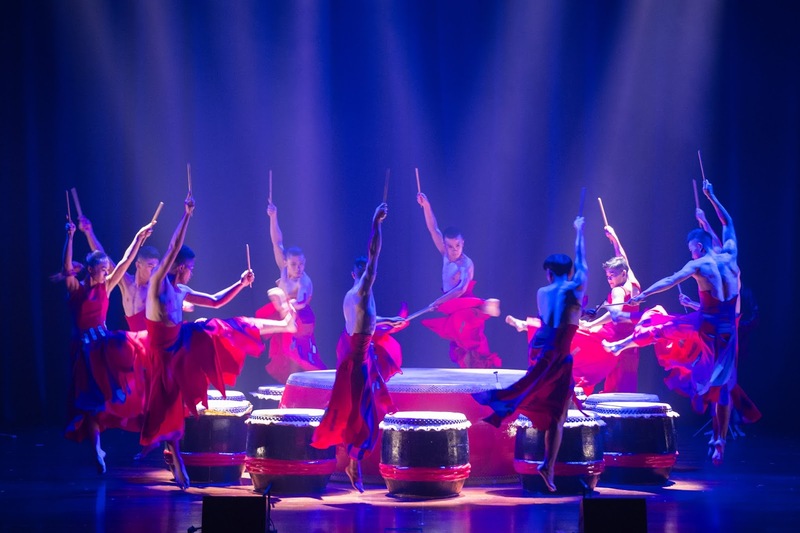 This ensemble of drummers, percussionists, musicians and artists are all driven by an enduring passion for what they do. If not for this desire to explore and create above and beyond what is traditional, they would not have evolved into the people they are today. Accordingly, the title for K5, UNBEATABLE, describes a spirit which many of us would want to carry as we make our way through the uncharted paths in our lives’ journey. Each festival has achieved its intention to serve as a platform to promote percussion, music and culture as it continues to bring the best of the world’s percussion to Asia. The pieces by HANDS 1 and HANDS 2, are brand new. 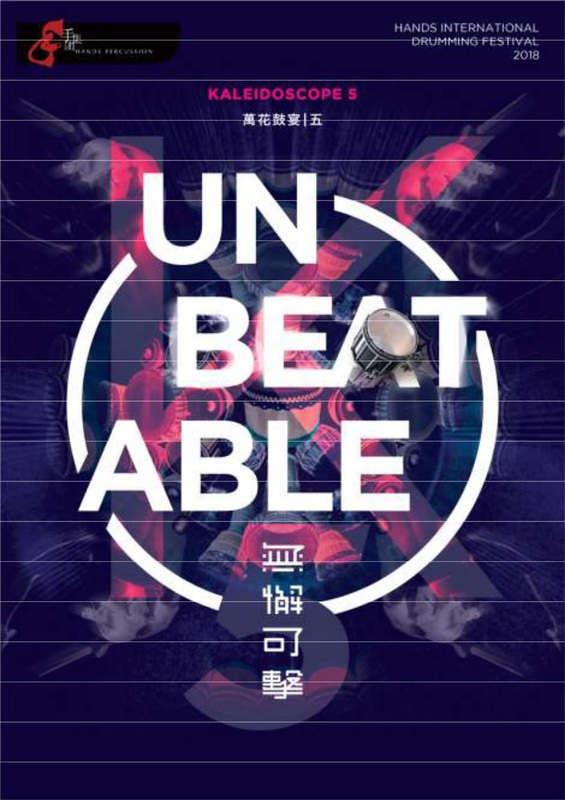 They will perform 2 new pieces each. Kathyn Tan choreographed one of the HANDS 2 pieces and Arifwaran is helping out in one of the HANDS1 pieces.